Is this some kind of a Juke? I have a Nissan Juke 1,598cc petrol engine, described on the V5C as "Juke Visia", but on my dealer's system as "Juke 5dr 1.5 dCi Acenta". Vehicle plate has Model Type as FBAF15. First registered 24/6/2011. 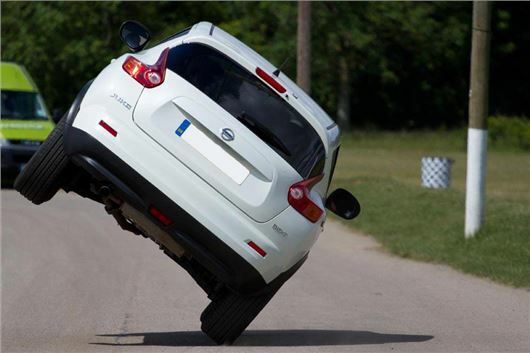 We have had the car since August 2013 and it has always been serviced by Nissan dealers. Mileage is about 37,000 miles. The car was serviced by a Nissan dealer in June and passed its MoT with no problems. A couple of weeks later we received a letter from the Nissan dealer telling us that the cambelt was due for a change and offering £100 off the cost. We booked the car in at a fixed price of £350 (after the discount). It was due to happen later in July. But last week, we had a call from the dealer to say that the workshop had intervened, pointing out the change wasn't necessary on our model and cancelled the booking. My wife, who took the call, sensibly asked them to confirm this by e-mail but so far they have failed to do so. Can you shed any light? Does this model have a cambelt? And if so, does it need changing at this stage? The 1.6 petrol engine has a chain driven camshaft that should never need changing. The 1.5dCI diesel engine has a belt driven camshaft and the timing belt needs changing every 4 years or so. The engine was wrongly described on the dealer's system and that's why he advised you of the need for a timing belt change. My 64,000 mile 2005 Lexus IS200 SE Auto was rear-ended. The damage seemed minimal. Slight dent in rear bumper but not holed the same at the front from a slight shunt. The car drove on without a problem. In fact I completed my holiday in it with no problem. The car has been regularly maintained and had a service and MoT last month. It is kept in a garage. I have been told that it is a write off because of a bent chassis and have been offered £3,000 by the Insurance Assessor. Is it worth asking for the car to be returned and getting it fixed myself, because I feel I can do this? The assessor said that the estimate for the repairs was £2,400. I know the car. I am very happy with it. I have been having problem with my VW Golf 2.0TDI TDI Sportwagon DSG since I bought it in 2012. At certain speeds, it would jerk like a Jackrabbit. I took it in many times, and they did diagnoses, and it said everything was fine. Also, every time I went, and we took it for a test drive, I could not make it jerk, but, I have many witnesses to this problem. My car is subject to the emission scandal last year I took it in for the recall. This fixed most of the jerking problem, but there is still a problem, when I go slowly, and at around 40 to 50kmh, the transmission sometime gives a bad jerk. I have lived with this for nearly 4 years. My warranty ends next month, and my mileage is 74,300 km. I have very little faith in their diagnostics. Could this be an oil problem with this DSG gearbox. A 2.0TDI will have the 6-speed wet clutch DSG that requires fresh fluid every 3 years, but has not been problematic. I think your problem is more likely to be DPF related because DSGs react badly to engine hesitation. There is also a small possibility of a problem with the dual mass flywheel. I have a 2002 Passat 2.0, 1,984cc petrol that had done 41,000 miles from new when I first bought it. Apart from brakes, battery, tyres and cam belt it is still on all original equipment and has been fault free until now. About 10 months ago my Lambda lamp came and the VW specialist that maintains it connected it up to the computer and found the injectors had too rich a mix. The injectors were cleaned and reinstalled and off I went for a 200 miles when the Lambda lamp came on again. This time it was the "fuel mixing bowl" and again it was cleaned without damaging the lining and off I went again. 200 miles later the Lambda light came on again and this time the computer was showing emissions again but the garage said that in fact the engine set up was OK so that tuned off the Lambda light and told me to use the car more and that I was suffering from information overload. They had advised that if the Lambda light came on again (it has) I was not to rush back (40 mile return trip to the garage) but not to ignore it completely either. Have you any suggestions what the problem is? These are all 'fuel system problems' in an ageing car with an engine that never liked 95Ron ‘Premium’ unleaded. The simplest thing you can do is switch to Shell V-Power Nitro Plus (99 RON) petrol that is higher octane so gives a better burn and also contains additives to clean the fuel system and keep it clean. As your garage advises, longer runs will also help. But if the cat converter is on the way out there's no way round that apart from replacing it. I have a 2004/54 Rover 75 Connoisseur SE V6 Auto Saloon, mileage 75,000. Although the car has been washed fairly regularly, the grime on the headlamps has become very difficult to remove. Any suggestions, please? I have tried toothpaste as recommended on the Internet, petrol and various other things, all to no effect. I have taken advice from you and your colleagues about this car several times much to my benefit: many thanks. When polycarbonate headlight lenses become obscured, Brasso usually restores transparency. I've used it with total success. It’s like removing cataracts. I own a Mercedes B Class, which is fitted with run flat tyres. Recently, the tyre pressure warning gauge came on, indicating low pressure in one or more tyres. Examination of the tyres showed one was softer than the others; the tyre was not flat. I drove a mile to my local Kwikfit and they found a small nail in the tyre, but refused to repair the puncture because it was a runflat tyre. They were, though prepared to sell a new runflat tyre for £180. For that money I could buy 2 ordinary tyres. I would be interested in your views of manufacturers fitting run flats when they cannot be repaired. Go somewhere else. As long as a runflat tyre has not been run flat it is usually repairable, though this depends where in the tread the nail hole is. KwikFit has a blanket policy of not repairing runflats because if they are repaired after running flat the carcass can be damaged and the tyres can be dangerous. My 2010 Audi A6 3.0TDI Quattro Tiptronic has developed a severe shudder when the engine is in the 1,600-2,000 rpm range. This happens whether in normal D, S or manual gearchange mode. It has been gradually getting worse for a year or so, originally only being intermittent but now constant. Unfortunately, when left to it's own devices, the gearbox favours 1600-2000 rpm when in D mode. I'm using Sport mode quite a lot at the moment. Although agreeing that it was rpm related my local Audi dealership suspected the propshaft, and tried removing it to test their theory by attempting to run the car in front wheel drive only - but the computer said no! They have now drawn a blank. Any suggestions? Two possibilities. I would suspect the Haldex centre clutch that requires regular maintenance (fluid and filter changes). If this has not been done they can become troublesome. Also if there is a disparity in tread depth between the tyres the Haldex could detect that as slippage and that might be the reason for shudder. The air-con on my 2015/65 Nissan Qashqai, with just 7,000 miles on the clock, packed up on the hottest day of the year last week. I took it to the local Nissan dealer and they diagnosed that it needs a new Air Conditioning Compressor. They seemed to imply that it is a common problem with the Qashqai, but that the wait for the spare part could be about 6 weeks. Is this is a known problem, and if so why is the spare part so difficult to get hold of? Is it acceptable that I should have to be without air-con for 6 weeks in the summer or does the garage have a responsibility to offer me a loan car. Shouldn't have happened. Trouble is its mainland Europe holiday season. Some parts suppliers simply shut down. An additional problem is that to comply with a new EC requirement, Nissan has switched from R134a refrigerant to much more expensive R1234yf and this is causing no end of problems. No, it isn't acceptable that you have to run without air during what might be the hottest months of the year. But a small claims judge might remember the days when no cars had a/c and dismiss the complaint as trivial. Yesterday my wife received a letter from Corporate Services informing her of a parking charge of £100 for an offence committed on 19th May 2016. She had an appointment at an NHS clinic in Hereford and because of traffic congestion arrived at the venue with only a minute to spare. She did not notice she was required to pay and display there. When she arrived back at her vehicle there was nothing attached to the windscreen, of this she is 100% sure. Therefore in blissful ignorance she could not pay the initial fine levied. The letter shows a rear view of her car and also a shot of the windscreen, (both with date and time) and there quite clearly is no sign of a PCN attached to the car. What can she do to reduce this huge penalty fine? On 21st July 2016 I drove my VW Golf MTI Mk VI about 6 miles then stopped and parked. I left it for about 10 minutes. When I returned, and turned the ignition key, the engine turned for about 3 seconds then I heard a sharp mechanical sound I had not heard before. The sound was rather like 4 carat diamonds being rattled in a tin can (this later proved to be a prophetic description). I turned off the ignition, then turned the key again but the engine would not even cough. The battery was fully charged and there was more than half a tank of fuel. The driving force for any damage was the engine starter during a few seconds, the engine never fired up. The car was stationary throughout. The local VW dealership in Inverness advised me of a standing charge of £86 to diagnose the problem. The following day, the dealer quickly identified a timing chain tensioner failure leading to premature catastrophic damage. I was given a quotation of £5,079.66 to replace the engine, stating that a repair would not be cost effective. The 14 hour labour charge was inclusive at £1.200. Research on internet forums reveals that failure of the chain tensioner is a well established fault in this engine, known to VAG and countless car owners. Web forums advise that there was a redesigned tensioner issued after 17th May 2010 with a further modification after 11th December 2011 with the latest redesign after 1st May 2012. There has never been a recall to acknowledge the issue. I am an enthusiastic GTI owner having owned them continuously for almost 30 years. I would be grateful for any advice as to how I might now proceed to maximise some compensation and minimise the cost of recovery. I shall be writing soon to VAG and hope for a sympathetic response. I wonder if the engine is sufficiently damaged to be written off. As you write, it didn't fire, so the only rotational effort came from the starter motor and even if valves hit pistons I don't think they would have been smashed. Certainly no debris will have been dropped into the bores to score and damage them. So you have three options. Hang on in there with your complaint to VAG UK and see where you get to. Tell the VW dealer that you want probes inserted into each combustion chamber to view and photograph the exact amount of damage. If the response of both is unhelpful, yank the car from this VW dealer and get it into an independent VW repair and service specialist who will probe the combustion chambers and, if necessary, remove the head for a thorough assessment of damage, then rebuilt the existing engine. Coincidentally, I received another report of the same thing in a Golf GTI 2.0TSI the same day, but despite the tinkling, that engine had continued to run (I advised the owner not to run it any more). Last week the alternator/ steering pump belt of my 1999 Citroen Xantia 1.9TD shredded and broke. I was in traffic doing no more than about 30-35 mph. The pieces interfered with the cam belt and wrapped themselves around the camshaft sprocket causing a bent cam shaft. The vehicle repair cost exceeds its value by a long way so it will be scrapped. Around 21,000 miles previously the belt had broken before and again interfered with the cam belt causing it to jump two teeth, but no engine damage occurred. The alternator belts were sourced from the same local parts dealer and not Citroen. Would they be inferior to a genuine part? My local garage man tells me that Peugeot and Citroen engines of that ilk suffer from this problem. I would welcome your comments. Unfortunately this is not only common on XUDs. It also happens to Renault diesel engines and VAG diesel engines. Any engine where the crankshaft timing belt pulley is not protected by a cover. The top is always covered to prevent injury, but the covers do not extend to the bottom pulley. You can probably get a replacement XUD for not much money. Just be very careful who you buy it from.